The R756, near the Wicklow Gap. A 51-YEAR-OLD MAN has died after his bike crashed into an embankment in Co Wicklow this afternoon. It happened at the Wicklow Gap road, between Hollywood Village and the Kingriver Bridge, at around midday. The motorcyclist was airlifted to Tallaght Hospital, but later died. A stretch of the R756 between Hollywood Village and the Kingriver Bridge has been closed as forensic tests are carried out, and diversions are in place. Witnesses are being asked to contact Blessington Garda Station at 059 6482610. Read: What next for the Clerys workers? Email “Motorcyclist dies in hospital after bike crashes at Wicklow Gap road”. 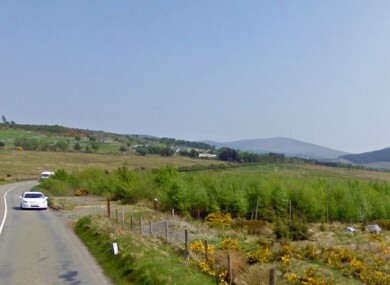 Feedback on “Motorcyclist dies in hospital after bike crashes at Wicklow Gap road”.